India – The land of fairs and festivals. Bringing peace and joy to the masses, festivals break the monotony of life. Home to many cultures and religions, India has quite a diverse festive calendar. Festivals of India are famous all over the world for their diversity and widespread messages. One of these is a very important religious festival i.e. 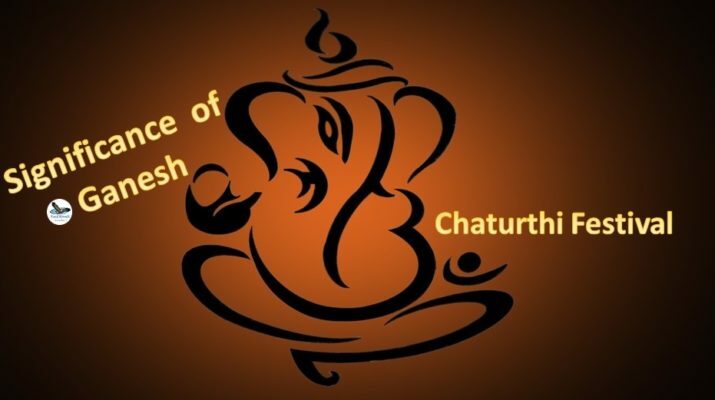 The Ganesh Chaturthi Festival. Also known as Vinayak Chaturthi, this Hindu festival celebrates the birth of the ‘Elephant Headed’ god, Lord Ganesha. It is celebrated on Chaturthi (fourth day) of the Krishna Paksha, in the month of Bhadra (mid-August-mid September), in accordance with the Hindu Luni-Solar calendar. 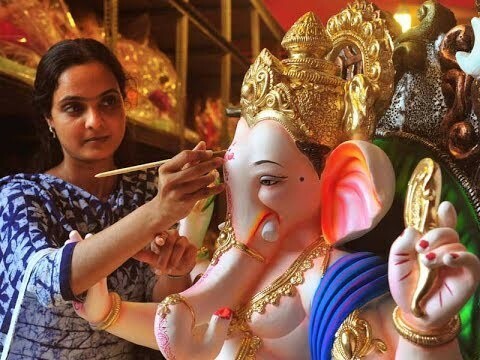 Spreading its fever all over the country, Ganesh Chaturthi festival is celebrated with much enthusiasm especially in the Indian states of Maharashtra, Goa, Tamil Nadu, Andhra Pradesh, and Karnataka. The story that we often hear is related with Lord Shiva and Goddess Parvati. It is said that Parvati created Ganesha from the sandalwood paste that she has applied to her body, in order to guard her bathroom door while she bathed in the absence of Lord Shiva. When Lord Shiva asked to let him go inside, Ganesh refused to do so. 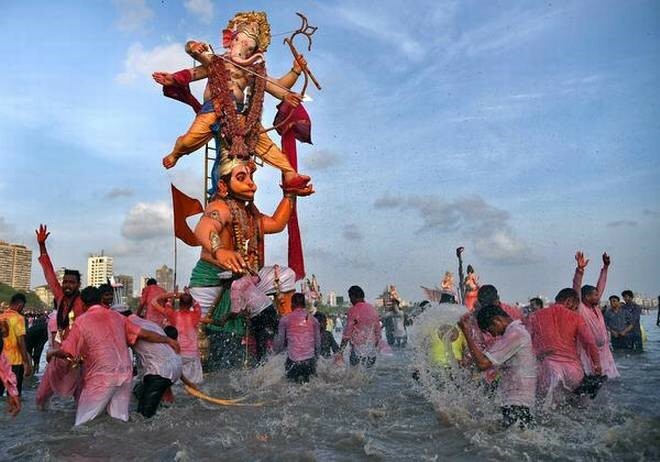 Ganesha’s persistence enraged Lord Shiva who beheaded Lord Ganesha. 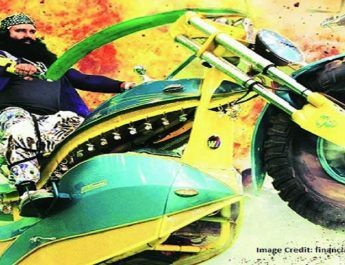 When Goddess Parvati came to know about this, she got furious, Shiva promised to bring Ganesh back to life. Following his orders, his followers went in search for a child’s head but all they could find was an elephant head. Lord Shiva put the head in place of Ganesha’s head and that’s how Lord Ganesha, the manifestation of an Elephant Headed Lord took birth. The first known Ganesh Chaturthi Celebration dates back to the time of the great Maratha ruler, Chhatrapati Shivaji Maharaja. 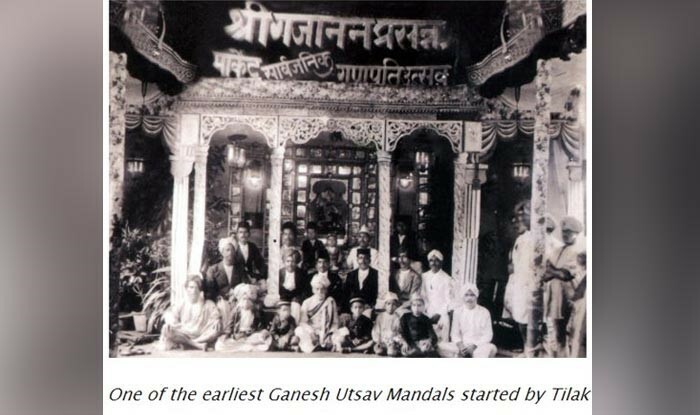 After the fall of the Peshwa rule, the festival was revived by the eminent freedom fighter and nationalist, Bal Gangadhar Tilak who realized the importance of Ganesh Chaturthi Festival to bridge the differences between Brahmins and Non-Brahmins of the country and hence unite all the citizens. Ganesha idols ranging from 3/4th inch to around 70 feet are made using mud, clay, and plaster of Paris, by skillful artists. 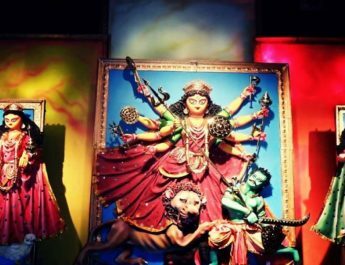 While the small idols usually adorn the homes, big idols are placed in temporary created pandals or mandapas, on the day of Chaturthi. It is believed that Lord Ganesha leaves his home on Mount Kailasha to visit our houses and give us his blessings. Pranapratishhtha is done by the priest to invoke life in the idol and after this, prayers are offered to the Lord in 16 different ways called the Shhodashopachara. Various hymns are chanted and offerings of coconut, jaggery, modaks, durva grass and flowers are made to the Lord. The worship of idol continues for 10 days, on the last day called Anant Chaturdashi ( Sunday, 23rd September, this year) the idols are taken through the streets in a grand procession accompanied with chants of “Ganapathi Bappa Morya, Purchya Varshi Laukariya”, dancing, singing, to be immersed in a river or the sea. This symbolizes a ritual to see-off of the Lord Ganesha in his journey to return to his parents – Goddess Parvati and Lord Shiva – on Mount Kailasha. Hence the 10 day long festivities come to an end, with a prayer by devotees requesting the god to visit their home again, the following year. Various sweets made up of jaggery and coconut are offered to Lord Ganesha. A plate containing 21 pieces of sweet is also offered to the idol as bhog. But the most important delicacy which is especially prepared during Ganeshotsav is Mouth-watering ‘Modaks’. Modak is considered to be the favorite sweet of the Hindu deity, Ganesha. It begets him the moniker modakapriya (one who likes modak) in Sanskrit. 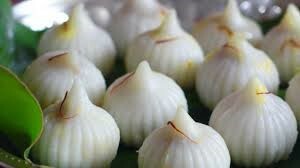 Modak is also known as modhaka or kadubu in Kannada, modhakam or kozhakkattai in Tamil and kudumu in Telugu. The sweet filling on the inside of a modak consists of freshly grated coconut and jaggery while the outer soft shell is made from rice flour or wheat flour mixed with khova or maida flour. Celebrated with great fervor, enthusiasm, and splendor, Ganesh Chaturthi Festival is quite popular in other countries as well. Celebrated by Hindu community of UK, London, USA, this festival is quite popular in Pennsylvania, Philadelphia and in Vancouver in Canada. to operate due to the design. information. “He who establishes his argument by noise and command shows that his reason is weak.” by Michel de Montaіgne. Verʏ interesting subject, thank уouu for putting up.